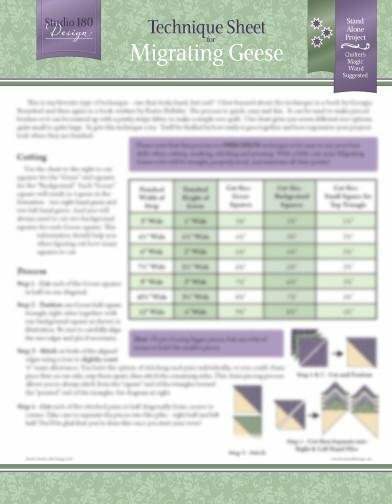 If you’ve ever made Deb’s Atlantic Flyway or any of her Carolina Lily patterns, we’d be willing to bet you’re a fan of Migrating Geese! They look like offset flying geese, but are built in a row as a braid rather than individual units. We absolutely love to use it in our designs, and we wanted to make it accessible for your designing, too. The technique doesn’t use any special ruler, although we do recommend the use of our Quilter's Magic Wand to mark your ¼" seams. You’ll be able to make 7 different row sizes, from 3” wide to 12” wide. Online video available.